The Alignment Server - Ontology reconciliation involves identifying the correspondences between entities occurring in different ontologies. We call a set of such correspondences an alignment. We have designed a RDF format for expressing alignments in a standardized way, and for sharing them through an Alignment Server. Contact: Jerome Euzenat (INRIA) - Licence: LGPL - See also the Alignment Server Plugin. Cupboard - Cupboard is a system for ontology publishing, sharing and reuse intended to support both ontology engineers and ontology users/practitioners. For the developers of ontologies, it offers a complete infrastructure to host their ontologies in online ontology spaces, providing mechanisms to describe, manage and effectively exploit these ontologies (through APIs). Furthermore, these ontologies are then exposed to the community, providing users with a complete, friendly environment to find, assess and reuse ontologies. Contact: Mathieu d'Aquin (OU) - Licence: N/A. Fisheries Stock Depletion Assessment System (FSDAS) - FSDAS intends to demonstrate the use and effectiveness of NeOn technologies when applied to the complex problem of fisheries resources management. Contact: (FAO/ATOS/Ontoprise) - Licence: N/A. I2Ont - I2Ont is a software prototype applying NeOn technologies and methods to significantly reduce the problem of invoice interoperability in the Spanish pharmaceutical industry. I2Ont applies the pharmaceutical networked ontologies developed in NeOn to enable organizations involved in economic transactions to abstract from particular invoice formats. Contact: Jose Manuel Gomez Perez (iSOCO) - Licence: N/A. The NeOn Toolkit - The NeOn Toolkit is a novel ontology engineering environment for semantic applications. It supports distributed components for ontology management, reasoning and collaboration in networked ontologies. 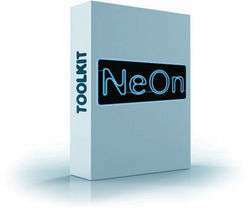 Built on the Eclipse platform, the NeOn Toolkit provides an open and modular framework for plugin developers. Contact: Michael Erdmann (Ontoprise) - Licence: EPL/Others. Ontology Design Patterns . org (ODP) - OntologyDesignPatterns.org is a portal dedicated to ontology design patterns (ODPs) for the Semantic Web. ODPs support best practices in ontology engineering by defining high quality modeling solutions to typical problems that can be encountered when building an ontology. OntologyDesignPatterns.org supports both open rating and traditional reviewing for the evaluation of its content, and includes an official catalogue, which is validated by two Editors in Chief and the ODP Quality Committee. Contact: Valentina Presutti (CNR) - Licence: N/A. Oyster - Oyster assists researchers in managing, searching and sharing ontology metadata in a peer-to-peer network. It exploits semantic web techniques in order to provide a solution for exchanging and re-using ontologies. Oyster implements a proposal for a metadata standard, the so called Ontology Metadata Vocabulary (OMV), which provides an extensible vocabulary to describe different aspects of an ontology. Contact: Raul Palma (UPM) - Licence: N/A. Scarlet - Semantic relations between concepts play an important role in several Semantic Web tasks, such as search, ontology matching, ontology enrichment. Scarlet discovers such relations by exploring the entire Semantic Web as a source of background knowledge. Relying on the functionality of Semantic Web gateways such as Watson or Swoogle, Scarlet automatically finds and combines knowledge provided by multiple online ontologies. Contact: Marta Sabou (OU) - Licence: N/A. SearchPoint - SearchPoint is a search engine add-on, which instead of just using one ranking per query, creates a "Ranking Space", a space in which each point represents a unique ranking. A ranking space consists of topics of interest, and is in fact drawn on a screen. A user can easily navigate this space, effectively choosing any ranking she desires. Contact: Bostjan Pajntar (JSI) - Licence: N/A. Semantic Nomenclature - The Semantic Nomenclature's approach is that of the integration of the large quantity of information about pharmaceutical products provided by a wide range of actors in the Spanish pharmaceutical sector using networked ontologies. Contact: Tomas Pariente Lobo (ATOS) - Licence: N/A. Text2Onto - Text2Onto is a framework for ontology learning from textual resources. Text2Onto represents the learned knowledge at a meta-level in the form of instantiated modeling primitives within a Probabilistic Ontology Model (POM). Also, by incorporating strategies for data-driven change discovery, Text2Onto avoids processing the whole corpus from scratch each time it changes. Contact: Johanna Volker (UKARL) - Licence: LGPL - See also the Text2Onto Plugin. Watson - As more and more semantic data becomes available online, a new generation of Semantic Web applications are appearing that dynamically locate, select and exploit multiple external semantic resources and ontologies. Watson is a gateway to the Semantic Web specifically developed to support such applications. 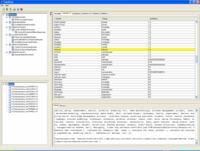 It collects and indexes semantic documents and provides a variety of access mechanisms , both for human users and for applications. 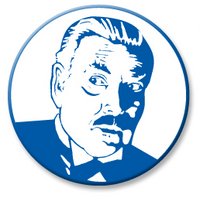 Contact: Mathieu d'Aquin (OU) - Licence: N/A - See also the Watson Plugin.